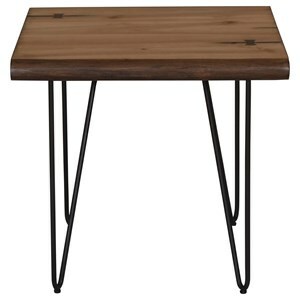 This whimsical and sophisticated end table offers a contemporary twist on mid-century modern style. The two-tone look, combined with the splayed legs, makes it a visually appealing piece that will look great in any space. 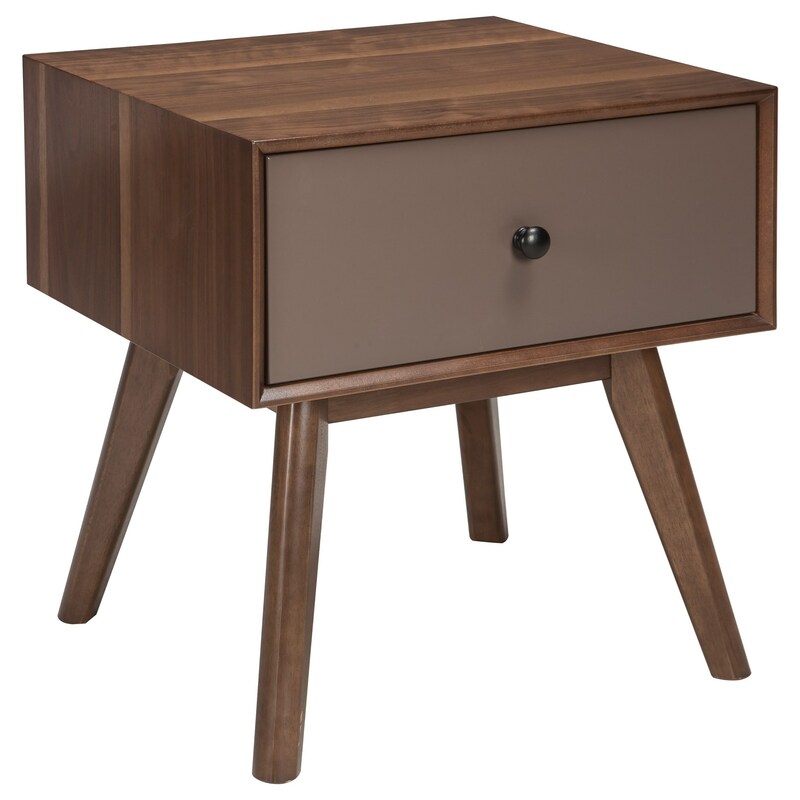 With a smooth-gliding drawer for storage, this designer end table can be put to good use. 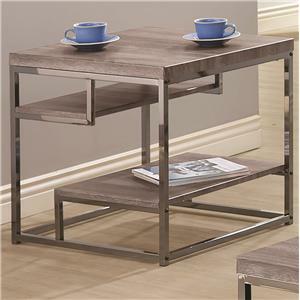 The Lynnifer Rectangular End Table with Drawer by Signature Design by Ashley at Value City Furniture in the New Jersey, NJ, Staten Island, Hoboken area. Product availability may vary. Contact us for the most current availability on this product. Wood & Finish Walnut-tone finish with matte taupe-tone drawer fronts. The retro chic style of this occasional table collection, which features two-toned finishes and splayed legs, will add an element of playfulness to your living room space. The Lynnifer collection is a great option if you are looking for Mid-Century Modern furniture in the New Jersey, NJ, Staten Island, Hoboken area.